General Assembly of the Swiss Society of Astronomy and Astrophysics, Locarno, 2015. 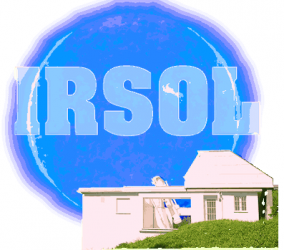 5th International workshop on small- scale solar magnetic fields, Bairisch Kölldorf (A), 2015. 14th European Solar Physics Meeting, Dublin (Ir), 2014. 1st SOLARNET – 3rd EAST/ATST meeting, “Synergies between ground and space based solar research”, Oslo, 2013. SPIE conference “Telecopes and Instrumentation 2010”, San Diego, USA, 2010. The Dynamic Solar Corona CAS-IAU Joint Solar Eclipse Meeting, Suzhou, China, 2009.
International Summer School On Solar Polarization, Bamboo Sea, China, 2008. 5.th Solar Polarization Workshop (SPW5), Ascona, Switzerland, 2007. 2nd European General Assembly of the IHY, Torino, Italy, 2007. Coimbra Solar Physics Meeting, “The Physics of Chromospheric Plasmas”, Coimbra, Portugal, 2006, (presented by Ramelli). 4th Solar Polarization Worksho, Boulder, Colorado, USA, 2005. 4th Solar Polarization Workshop, Boulder, Colorado, USA, 2005. 3rd Summerschool and Workshop, Solar Observatory Kanzelhöhe, Kärnten, Austria, 2003.